Very good service, enjoyed being able to use my Defence Discount card. Disappointed with this visit yesterday due to the issues below. First of all, your service was not up to previous standards, 25 mins wait to get 2 bowls of soup brought  the table seem an excessive wait. Secondly, the main course took equally as long and the portions were meagre! Thirdly, we had to get the attention of a waitress for the sweet menu. Fourth, the excessive loud music was becoming unbearable and I had to ask a waiter to turn the volume down. As a diner, I felt unable to enjoy our meal due to the overall rowdy atmosphere and general ambience of the surroundings. My sister has coeliac.She was amazed at how well she was catered for.Having eaten at several hotels including the Dorchester in London the Carmelite outdid all of them on variety and quality. The quality of the afternoon tea was excellent for both of us and I will be recommending it to all my friends. Had a lovely evening, drinks and meal but the singer that was on, wasn't great. Kind of spoilt the atmosphere. Would still consider coming back though as everything else was fine. Salmon was not fresh. Scampi was white fish not prawn or lobster tail. Forgot to bring out raspberry ice cream with the choc fudge cake. Trio of beer samples should have had nachos with order and didn't get. Tried to overcharge by £2.50 for a cocktail. We really enjoyed our meal, and our server was excellent. It wasn’t particularly busy on the Friday of our visit , and we did find the entertainment a little loud. We found ourselves having to lean closer to talk, as normal level conversation was hard at times. We will certainly return, but perhaps ask for a quieter area to eat. Thank you. Food was very good. Staff were attentive without being pushy. Overall a good experience. 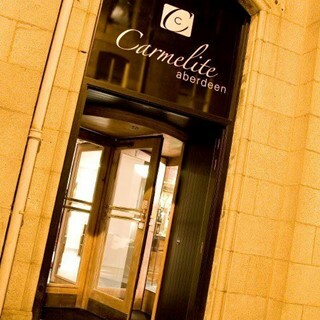 I was not overly impressed by the service at the Carmelite. From start to end the service was sub standard and the staff were not as helpful as I would have expected. An example would be that we had hired the private room for a function with a substantial number of people, to be told we had to travel to the bar was disappointing. I would have expected table service, especially with the bar tab being open for all guests there was no need for staff to worry about dealing with payments. The next issue that disappointed me was that I had asked for the bar to be capped to a certain amount and for there to only be 'house' spirits, wines and beers to be provided to the guests. Often folks were being served cocktails and shots and not advised of the cap which resulted in the tab quickly disappearing. My recommendation would be that staff are retrained in hospitality, specifically attitude towards customers and also 'service with a smile'. The fact the room was booked from 730 and guests weren't in and seated until closer to 8 due to the room turn over time was a shame seeing as I had been asked for a schedule before hand of how I would like the night to be ran. This resulted in things having to be hurried up and the evening felt rushed to start with. I did not receive an apology for this which I did expect. There was a substantial amount of money spend on the night and I did not feel there was value for money. Lastly when our room service breakfast was delivered the next morning the waiter who delivered the room said he would not take it into the room  as it was full of girls. Ridiculous really, I'm not sure what he has expected but all that was there were 2 hungry girls in their jammies who had to carrier their breakfasts up the stairs (cabanel room). This is the first time I have had room service which has not been placed in the room and instead deliver to the door like a large package to sign for. Perhaps if the breakfast is delivered like a low budget hotel the prices should reflect? Excellent afternoon tea, great atmosphere. Would highly recommend. We had a very disappointing experience. Entertainment was so incredible loud that we had to move seats. We waited almost an hour for our afternoon tea and our coffee (which arrived and was not hot). I asked for the vegetarian afternoon tea and was given a tuna sandwich (not vegetarian!!) and another sandwich which just had salad and tomato in it. When we complained we were given our money back for the ‘vegetarian’ option which I appreciate but, almost insultingly, for messing up the vegetarian meal we were given a voucher to get a deal on steak! Will not be back. Service was terrible. 15-20 minute wait for coffee. Had to ask twice for milk for the coffee and still didn’t get any. We were also one of 2 tables so it wasn’t as though it was busy. Very overpriced too. Will not be back. Absolutely terrible the whole time we were there. They had a Gary Barlow tribute act that was absolutely horrendous, made my ears bleed. The service was terrible - I had to ask for absolutely everything. The food wasn’t that great either, with a 29 minute waiting time for a fudge chocolate cake that was cold. Very disappointed and will not be returning. 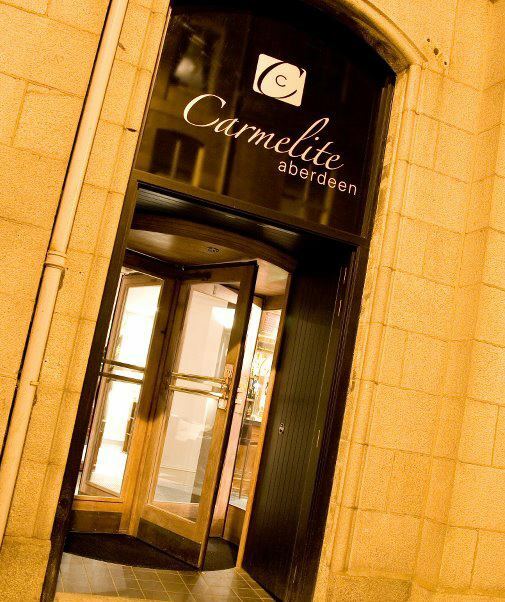 This is the first time we have worked with the Carmelite for our annual event, which ran like clockwork. The staff were friendly, efficient & a pleasure to work with. The presentation of the rooms, quality of food etc was excellent. Thank you. We had a very enjoyable afternoon tea. We were served quickly by attentive friendly staff. Amazing service from the start. A warm welcome. Super friendly and efficient staff. 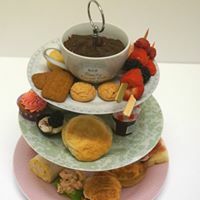 Afternoon tea was lovely and such great value for money. Highly recommended. Def not enough sandwiches, they must of amounted to one slice of bread each. Cakes were nice but nothing special. Tea had a lemon taste all though we didn’t order lemon tea. Def not worth £13.50 per person.we have had better value high teas in other central locations. Very warm welcome by host. Waiting staff very attentive. We were using a Groupon voucher for this and the only down fall was that we had to ask for our glasses of Fizz that came with the deal but this is minor since the staff weren't to know this without asking. The food was good quality and presented well. Only thing was the tea and coffee went cold quite quickly.